BrowardBeat.com’s Buddy Nevins wrote a nice piece over the long weekend concerning challenged incumbents swearing-in jurors, called Judges Being Allowed To Campaign In Courthouse. Buddy is strongly against the practice, calling it “unfair“. “(Peter) Weinstein owes (JAABLOG) and the public an answer. It looks like the chief judge is trying to involve himself in the judges’ campaigns, which is strictly forbidden by the Code of Judicial Conduct. The reason for the change is unknown at this time, but as a fellow blogger, we can attest that posts are typically written quickly, without benefit of an editor, and often are followed by post-publication revisions, and in rare circumstances, phone calls requesting clarification. However, the change does serve to highlight a very important issue, as follows: who should be held responsible for shameless election season jury room practices? The answer seems to be both the clerk of courts and the chief judge, together with the challenged judges, who ought to know better. It’s Howard Forman’s jury room, after all. Swearing in the jurors is a clerk’s function, which means he can do it personally, or have one of his employees handle the chore, just like in court. And if he wants to allow a challenged judge to lead the ceremony, the least he can do is give equal time to the other candidates. If equal access isn’t feasible, then Forman should keep all the judges out of the jury room until the end of election season. Period. On the other hand Peter Weinstein, as chief judge, is responsible for stopping errant behavior by 17th Circuit judges. We’ve personally brought the matter to the attention of Sharon Zeller, Weinstein’s head of county courts. 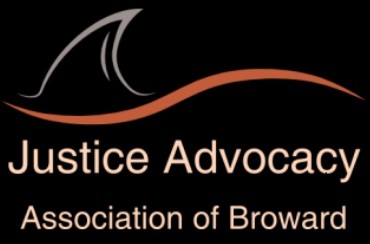 Additionally, although nobody will admit it, this blog and BrowardBeat are widely read in courthouse circles. If Weinstein doesn’t know what’s going on, then problems at the top are even worse than previously imagined. For while Weinstein may not be “trying to involve himself in the judges’ campaigns“, his failure to quickly put a stop to the practice by speaking to either Forman or the judges in question directly could certainly be interpreted as an approving nod to an unfair election season gimmick. So, who do you think is responsible, besides the individual judges? Forman or Weinstein? Previous Post36 DOWN TO 20Next PostACCIDENT! I wonder who threw Forman under the bus? Bill, without commenting too much on the practice itself, you have to realize that Canon 7(C)3 doesn’t apply here. Since when is swearing in the jury pool a “political party function”? This Canon is about going to Pol. Party meetings, bbq’s and other events. There is no obligation for al candidates to be invited to non-party meetings or events for a judge to speak. For example, if a homeowners’ or condo association, or chamber of commerce, or any other non political party organization wanted to just invite a single candidate, or incumbent, to every meeting, it is totally ethical and legal for the invited candidate to attend and speak without regard to whether the opponent was invited. Weinstein, the do nothing chief, really needs to do nothing about this situation, since Forman controls that jury room. If a judge asks to swear in a panel, Forman has the 100% authority to say yay or nay. If someone wants to complain abut him using his office to assist a judge in campaigning for reflection, then someone should make a complaint to the ethical body that oversees elected officials like Forman. But I see the point. A Canon may not apply. But I see the Canon providing a guiding principle. Judges elections are different. Judges in the Courthouse should follow the principle. Its a public Courthouse for crying out loud. The Sleazy Judicial Tactics employed by Broward Judges has never ceased to amaze. Who is at fault you ask? It’s easy: All the squirmers are in on it together. It’s all for one and one for all when speaking about Broward Judges and the lengths they’ll go to to try to give themselves an edge to getting re-elected to access to the public trough. Look around. They’ve been doing it for years. Don’t look for honor amongst thieves, because you’ll find all the same sleazy tactics they’ve used for years to insure they keep their hands in the publics’ pockets. It’s a shame they can’t live up to the honor the office should define, but it’s Broward after all. Look how many sleazy, drunk, drugged up, stoned, lying sleazbags have gone down when some outside agency finally became involved to remove them. Nope, don’t look for honor within this bunch, because you’ll find only collaboration and an unending desire for ego gratification and benefits. Who says they could make more money not being in Public Service? Just another bad joke that’s more than apparent when speaking about Broward County Judges. Both Forman and Weinstein are utterly worthless. The Clerk’s Office is like being back in the 50’s and Weinstein is, just, well, sliding his way through whatever effortless path he can take. His dodging the drunk judge issue in broward is going to burn him though. He is supposed to be the Chief Judge of this circuit. Does anyone have anything positive to say for a change, this website needs an uplift….